Ready Set Brush Star Wars ''YODA'' Star Wars Battery Powered Spin Toothbrush ! Plus Star Wars Crest ProHealh Jr. 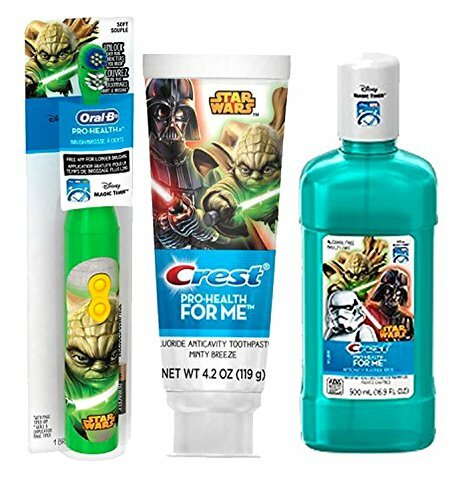 Toothpaste & Crest Pro-Health Jr. Star Wars Mouth Wash! Ready Set Brush Star Wars ''YODA'' Star Wars Battery Powered Spin Toothbrush ! Plus Star Wars Crest ProHealh Jr. Toothpaste & Crest Pro-Health Jr. Star Wars Mouth Wash! by Crest at Beauty Sols. Hurry! Limited time offer. Offer valid only while supplies last.